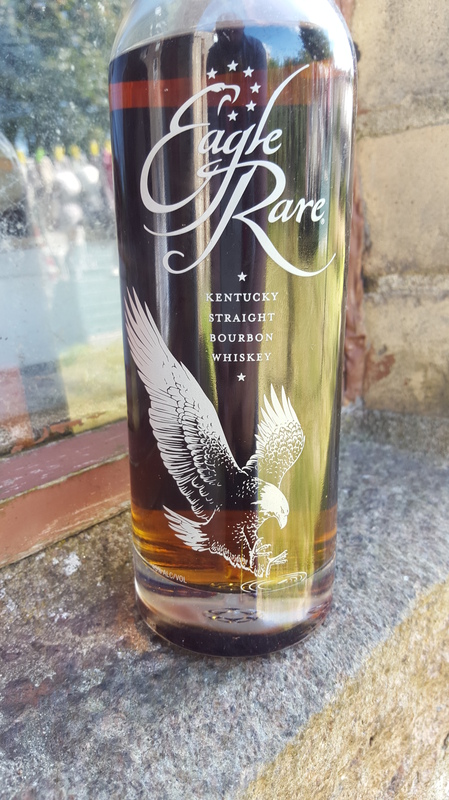 Eagle Rare was originally a 101-proof ten-year-old Kentucky straight bourbon whiskey (not single-barrel) created by master distiller Charles L. Beam. Introduced in 1970’s. 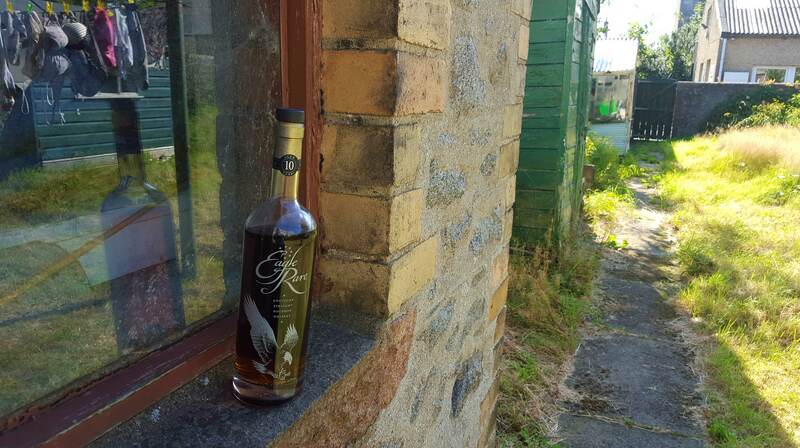 Eagle Rare was among the last new bourbon brands introduced prior to the current era of ‘small-batch bourbons’. The Sazerac Company, an American family owned producer and importer based in New Orleans, Louisiana, and the parent company of five distilleries, acquired Eagle Rare in March 1989. Sazerac’s Kentucky distillery was then known as the George T. Stagg Distillery. Today the distillery is known as the Buffalo Trace Distillery. The whisky pours a dark copper colour and is thick and almost syrupy in the glass. I added a teaspoon of water and left the whisky to develop in the glass for ten minutes. This gave me a little more time to enjoy the very, very late showing of summer we are having this year. But sunshine is sunshine so I can’t complain too much. On nosing the whisky is very sweet with notes of fudge and toffee jumping out of the glass straight of the bat. This is followed by notes of dry wood and cinnamon through the middle of the aroma. The nose is finished off by hints of cumin, sweet malt and banana. On tasting there are again sweet notes of toffee, fudge and almond but this is balanced out hits of alcohol. Through the middle the softer spice notes become more prominent with hits of cinnamon and cardamom flooding the middle of the taste. The taste finishes with notes of wood, pine and a bitter almost herbal note. The finish is long with a lingering sweetness and a soft alcoholic note. Truly complex and fantastically well balanced this is an American whiskey worth looking out for! ThisDrinksBlog on My dearly departed.